The attachment was easy for my plumber to install and works well. It saved fitting a new toilet with all the implications of doing that. It is neat and practical and the set temperature is very convenient. I love my Bidet Shower only a slight hiccup the pressure is a little bit weak, apart from that great. 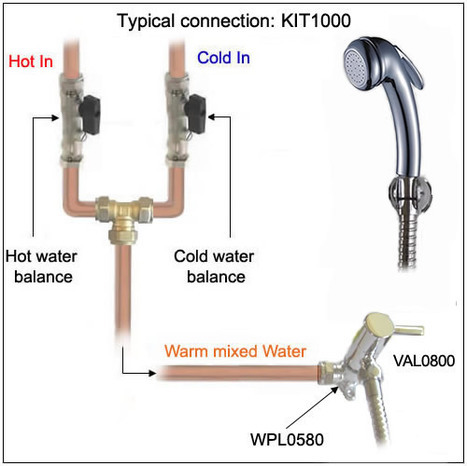 KIT1000: Pre-set warm water bidet shower kit. This kit provides all the key parts your plumber will require to install this entry level suite. 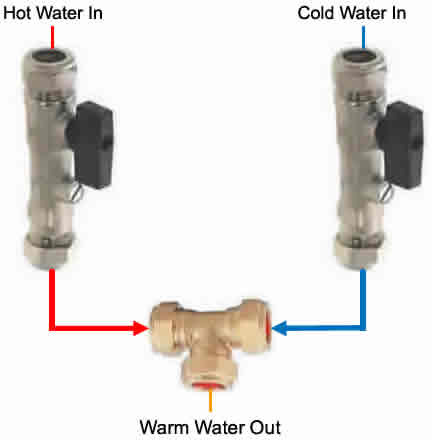 A fixed temperature design where the temperature is set at installation. designed to take the chill off and provide a stream of warm water to your bidet shower. The Mixer (not displayed in main image) must be left ACCESSIBLE to enable future adjustment / maintenance. 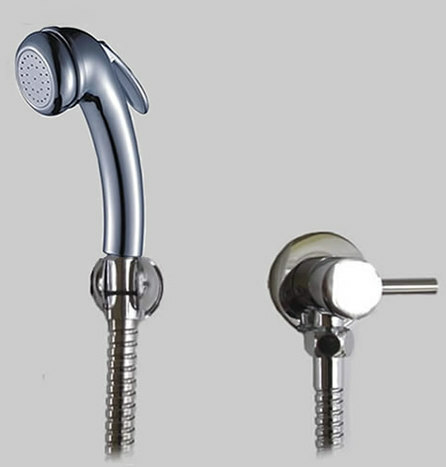 ABS1600 Shower, Hose & Wall Bracket.